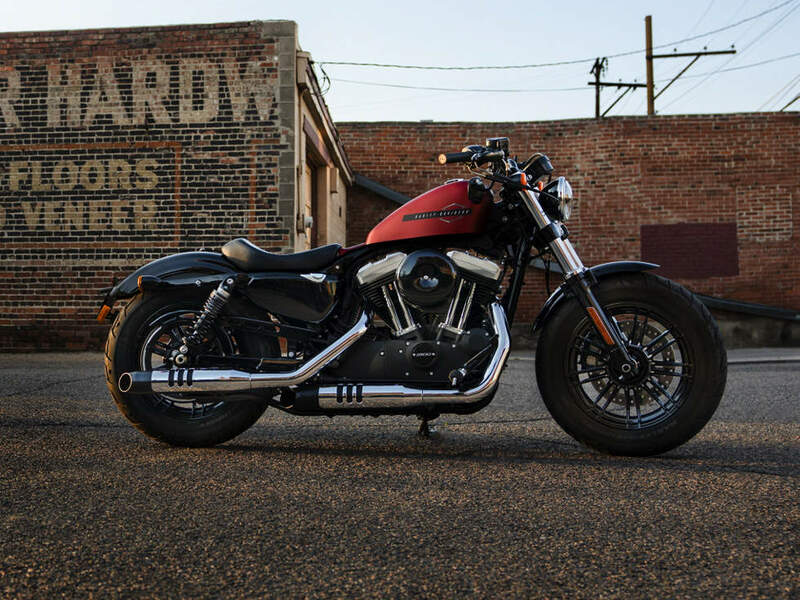 Harley-Davidson® 2019 Forty-Eight® Special for sale in London. 1200 Evolution® Engine - 1200cc at your command to deliver tons of torque for an unforgettably fun ride. Dark Custom Style - A balance of blacked-out and chrome finishes give it that authentic custom attitude. Throwback 70’s Custom Tank Art - Authentic bold 70’s-inspired tank graphic and badge shows the bike’s retro roots. Bold Muscular Attitude - A bulldog stance with a slammed speedometer and peanut tank, massive triple clamps, and 49mm front forks. Tallboy™ Handlebars - Ride with your fists in the wind with the black Tallboy™ handlebars. Shaped to provide the ideal balance of rise and width. Optimized Seat Design - A ribbed, solo-style seat for all-day cruising comfort while maintaining the bike’s minimalist style. Split 9-Spoke Cast Aluminium Wheels - Split nine-spoke wheels that are black as night from rim to rubber to complement the Dark Custom look.